A couple of weeks ago I did a tutorial on designing in pic monkey then using image mapping to upload your image. Last week, we talked about image mapping again, to make a new post signature. Samantha emailed me and asked for a tutorial on how to take all of that information and make a custom header in blogger. So this week, let's talk about taking the code provided from Image Mapping to make a new custom header with clickable links for your blog! 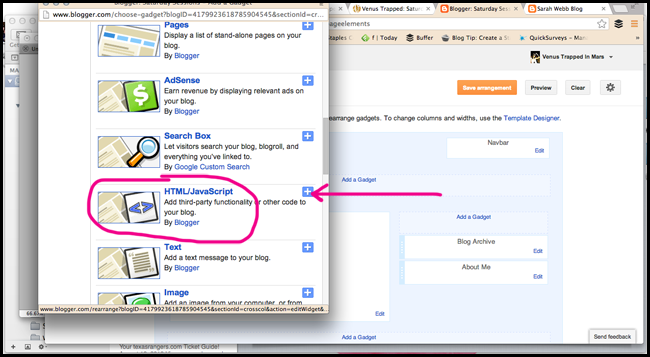 STEP 1: Go to your blogger dashboard, then select template, followed by edit HTML. Remember to backup your template as a safety precaution before completing any other steps. Step 2: Click jump to widget, then select header 1. Then you will be adjusting the boxes circled below in pink. Step 3: Now go to the layout tab and select edit header. 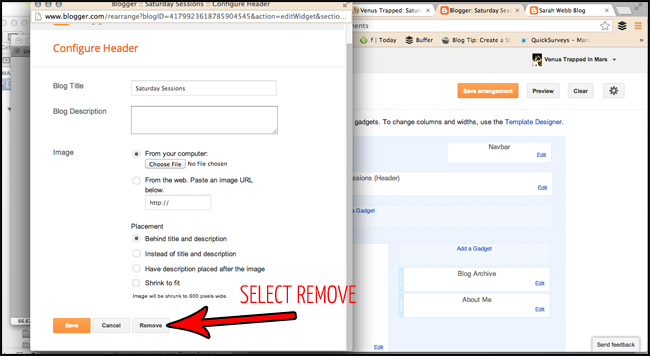 Step 5: Click add a gadget and then choose add HTML gadget. Step 6: Now you are going to take the HTML code provided from the image mapping site tutorial (see step 4 in that tutorial) and paste that into your html gadget box. 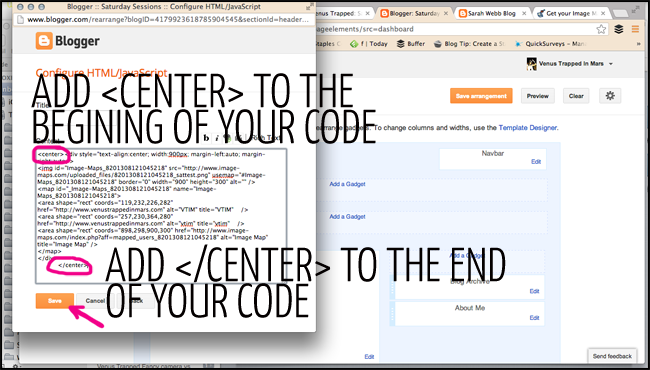 NOTE: Be sure to add the "center" tags, shown in the picture below, before your code and at the very end of your coding. Click save. Then view your handiwork header! You da bomb! I literally googled this for like 3 hours yesterday. I wish I had waited another day. 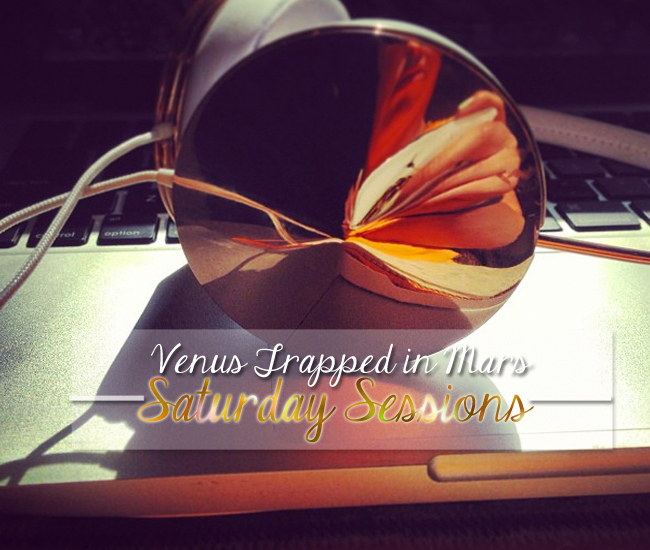 Your Saturday sessions are perfect! Bookmarking for future reference. Thanks! I think I am going to work on this next weej!! Oh this is great! You make it seem so simple! Thankfully I have help with that because if not I think my blog would be a shame! But I'm always up to learn a few tricks for myself so thanks!! I finally got around to making my new header but have a question. Is there any way to get the image to automatically adjust to fit? 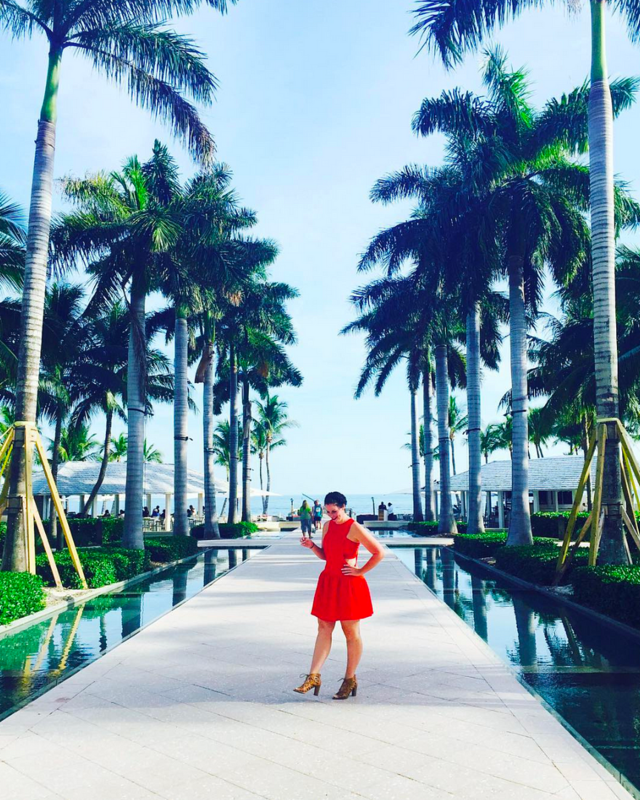 I want my header to be a little bit wider to fit in with the width of the rest of my blog. Question: how do you make it so that the options (about, best, etc) open as new tabs? bookmarking this and following you now. awesome tutorial! They changed the image mapping website that you used, and it now says that images will be removed if you do not subscribe to the website. Is there any other way to do image mapping? I was going crazy looking for some "blog" tutorials...this will come in handy! !